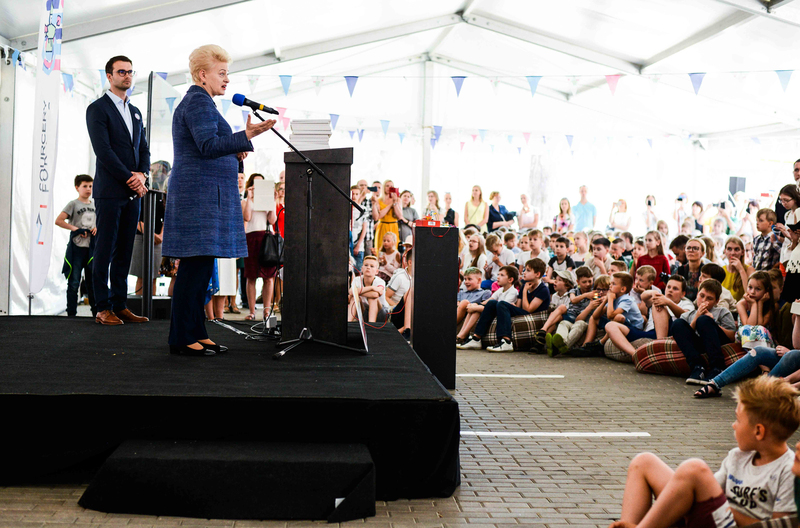 On June 1, a day most countries recognize as International Children's Day, the president of Lithuania, Dalia Grybauskaite, visited the Devbridge to see 'Sourcery Academy for Kids,' an initiative designed to provide free technology training to kids, firsthand. More than 200 children participated in the finale of the 'Sourcery for Kids' school year, which invited children ages 7-12 to learn about the world of technology and coding. Devbridge founded 'Sourcery for Kids' in 2017 with the goal of providing computer literacy to all children, especially those in remote or economically underprivileged areas. Upon her visit to 'Sourcery,' President Grybauskaite announced plans to add the Devbridge program to her nation-wide social campaign, 'For a Safe Lithuania,' which aims to reduce violence and provide assistance to families at social risk. “It’s exciting to see that a private business, those young people who are raising their young children start such initiatives and understand the value of the opportunity to learn programming, new instruments, how to learn about the new world and how to build it," Grybauskaite said. "It is wonderful that it was started by our business, then went abroad, learned, came back to Lithuania and teaches our children now. I’m glad that you joined my initiative, 'For A Safe Lithuania.'  You are part of a new progressive business with the experience of a transparent culture, so I'm happy to support you." During the event, the Lithuanian president visited Sourcery Academy facilities in Kaunas, Lithuania, and observed the students' projects. The kids responded excitedly when the president helped students insert missing code into their programs. Viktoras Gurgzdys, Devbridge vice president of engineering and 'Sourcery for Kids' founder, discussed how technology can fuel a person's growth and development. “Kids speak in tech language," Gurgzdys said. "With the help of tech, children can fulfill their creative ideas and develop skills that become a foundation for their successful future. Our goal is to guide children in the right direction and show that 'screen time' can be used for creativity—not just consumption—and that every child should learn to code. I'm sure that the president will encourage this change and inspire parents and children to discover technology as a means to build a safe and prosperous Lithuania." Gurgzdys added that, while Lithuanians tech careers have contributed significantly to the country's growth, the focus of curriculum in Lithuania hasn't caught up to tech expansion. "IT is a creative and progressive path that should become an important part of education," Gurgzydys said. "Computer literacy should be available to all children. Especially, we’d like to encourage more girls who quite often run into old stereotypes in the field." To mark the end of the first 'Sourcery for Kids' session, students created a project, a programmed message. Holding each others' hands, the children turned on the message, "Together, we build a safe Lithuania." When the president joined in, the social responsibility campaign, "For A Safe Lithuania," appeared on the screen, as well. 'Sourcery for Kids' began in September of 2017 when it welcomed 200 children in the Lithuanian cities of Kaunas and Sakiai. Last March, it doubled in size, expanding to other regions with the Kazickas Family Foundation joining in. The Kazickas Family Foundation supports this initiative, with the goal of reaching children attending day centers. Thanks to this partnership, 416 children in five Lithuanian cities—Kaunas, Sakiai, Raseiniai, Plunge, and Klaipeda—are learning how to program, for free. The Kazickas Family Foundation supports the Sourcery initiative with a belief that computer literacy reduces exclusion and helps children to better understand the world surrounding them. That literacy also serves as a tool for kids to express themselves. "Our foundation has been encouraging computer literacy since 1998 when we started a project promoting computer literacy among young students," Jonas Algirdas Kazickas, a member of the Kazick Family Fund board, said. "Since then, we’ve been supporting various programs, offering scholarships, organizing competitions to motivate Lithuanians, and especially young people’s progress in the IT field. We’re so excited to see new progressive initiatives such as 'Sourcery for Kids' that lay out the foundation in preparing Lithuania’s youth for the job market." Thanking those in attendance for their support, Gurgzdys addressed the community of technology specialists: “I invite everyone to join our initiative and together to create a change on a national level,” he said. Check out the video below for a full recap of the visit.